Roy J. Norman was born in Tyler, Texas on March 23, 1932 to Roy and Pearl (Hunt) Norman. Roy was the third child of five; consisting of four sisters. Roy’s parents were farmers. His first 7 years of life involved helping on the farm. His grandfather, Ellis Norman, had lots of horses and mules. Roy’s father was unfortunately thrown by a horse which resulted in his death. This unexpected situation left his mother with five little children with no means of income. She had no one to tend the fields and there were no social programs at that time. It took a village. Roy later went to live with his grandfather who had moved to Fort Worth, Texas. Roy was baptized at the Fourth Street Baptist Church and at the age of 17 was ordained a Deacon. Roy attended George Washington Junior High School and I.M. Terrell High school where he was an “ A” student when he graduated from the segregated schools. After graduating from high school Roy enlisted in the U.S. Air Force to keep from being drafted in the U.S. Army. The Air Force sent him to attend Oklahoma State College. In 1951 Roy was transferred to Lowry Air Force Base in Denver, Colorado to complete his training. He was honorably discharged in 1955. While stationed at Lowry Air Force Base, Roy met a Beautiful young lady by the name of Marilyn F. Rease. Roy and Marilyn were united in holy matrimony on November 19, 1954. Roy changed his church membership from the New Hope Baptist Church to Zion Baptist in 1955 to be with his wife. From this marriage they had four children; Sheryl L. Norman, Diane L. Stewart, Sheila L. Norman, and Rod Norman. 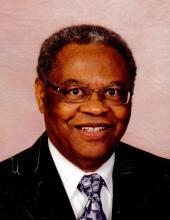 Roy served on the Zion Trustee Board and served as its chairperson for 5 years from 1971 to 1976. He also served as chairperson on the NEDCO Square Inc., dba Zion Senior Center for over 25 years. Roy studied Business and Real Estate while attending Denver University and Colorado University of Denver. Roy was so proud that he made all “A”s in all of his accounting courses. He was employed at the Air Reserve Record Center for 11 years. While attending college, Roy sold real estate for Town and Country Real Estate agency. He later, with others, opened The Great Western Mortgage Company. Roy later was employed by the Internal Revenue Service. In this job, Roy would wonder why God had ordered his steps to work for IRS AND to serve in positions that he did not apply for. He stated that God directed him to serve as A Revenue Officer, Revenue Agent, Personnel Officer, Group Manager, Branch Chief, Chief of the Office Branch, Chief of the Special Procedure Section and The District Director of IRS FOR Colorado and Wyoming with 2 secretaries. Roy would always say that God had ordered the steps of a little Country Boy, who had a hard time pronouncing words. He always was thanking God for ordering his steps, and prayed and gave God all the praise and glory. He never forgot to thank God for his family! Roy retired from the Federal Government in November 1981 after 31 years of Service. While waiting for his wife to retire, Roy stated that He got tired of sitting at home alone. He opened his own mortgage company, Intrastate Mortgage Company; sold cars, opened a small furniture company and was shocked at AT&T hiring him when he had only taken his granddaughter to apply for a job. Roy loved his family dearly and was truly a family person. He stated again that God had ordered his steps and Blessed him with a loving and devoted Wife, Marilyn F. for more than 64 years. Four children: Sheryl L. Norman (Amos), Diane L. Stewart; Sheila L. Norman and Rod Norman. 7 Grand children: 14 Great Grandchildren, 6 Step Grands, and 7 Step Great Grands. He departed this life and went to live with the Lord On: January 28, 2019. A loving wife, Marilyn F. Norman; Four children, Sheryl L. Norman (Amos), Diane L. Stewart, Sheila L. Norman, and Rod Norman. Three sisters: Latonia Estes, Fort Worth, Texas, Anna L. Ward, Bakersfield, California, and Viver J. Loving, Levelland, Texas. One sister-in-law: Annette R. Groves, Denver, Colorado. Nieces, nephews, cousins, and a host of friends. To send flowers or a remembrance gift to the family of Roy Norman, please visit our Tribute Store. "Email Address" would like to share the life celebration of Roy Norman. Click on the "link" to go to share a favorite memory or leave a condolence message for the family.